Haldi ceremony wedding photos. 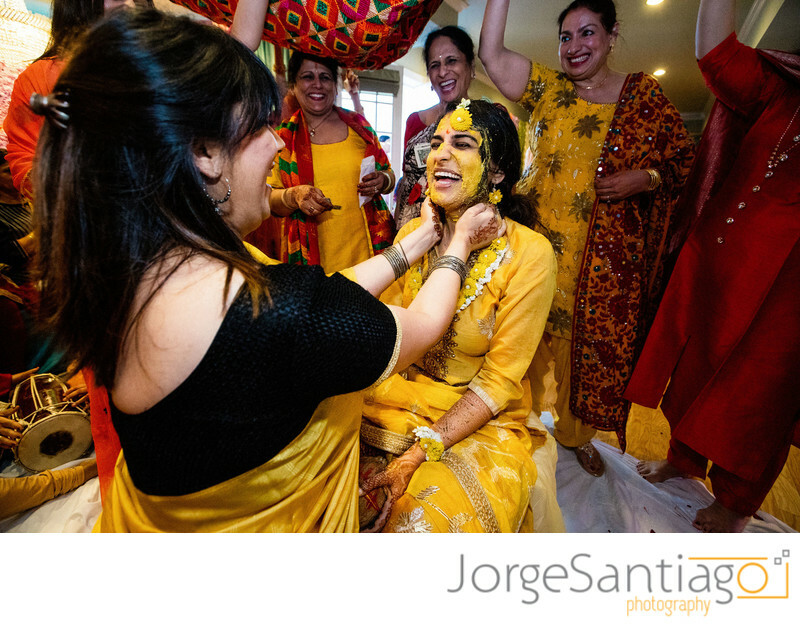 In the haldi ceremony a paste of haldi is applied to bride and the groom’s body before their wedding. This ceremony is usually held at the bride and the groom’s place, on the morning of the wedding day. In a few ocasions this ritual is held a day before the wedding, after the mehendi night.